Make due with what you�ve got and experiment with art. Two clich�s that only can be lived become alive today. Or, more elegantly put, �the artists tools are not the limitation but the opportunity of the technique�. It is well known that artists, specially the good ones, lived a life of tragedy, poverty and went unappreciated but never stopped to cry about that, certainly not to cry about their luck. Of course that was before main stream art came roaming. Back in the dark days of candles and 1660s, Rembrandt mixed his paintings with flour. The reason? Unknown, as his talent a marvel. However, good painters, those who paint with the body, know that a little bit of flour is most inevitable to end up in the canvass. After all why not? Flour makes bread and bread in Spanish translates to �Pan�, which in turn is the Latin way to name �everything�. That is right Bread is everything. Or so they say in the streets today, the streets which still conceal a Rembrandt or two, who are worth nothing because of course they are alive. But you wait, and I will wait with you. "He was probably looking for special effects," she said. Experts at the Royal Institute for Cultural Heritage in Brussels revealed the insights of the techniques that they say Rembrandt �experimented with� flour to create his masterpieces. The mysterious layer of the 17th Century was after all this time, yes simply flour. "The most striking result is undoubtedly the presence of starch, which to our knowledge has not been observed before in Rembrandt's work," Discovery News quoted Jana Sanyova, an analytical chemist, as saying. Special effects, yes that could be it, or perhaps he just happened to have some flour at the table, and thought of taking everybody for the ride. 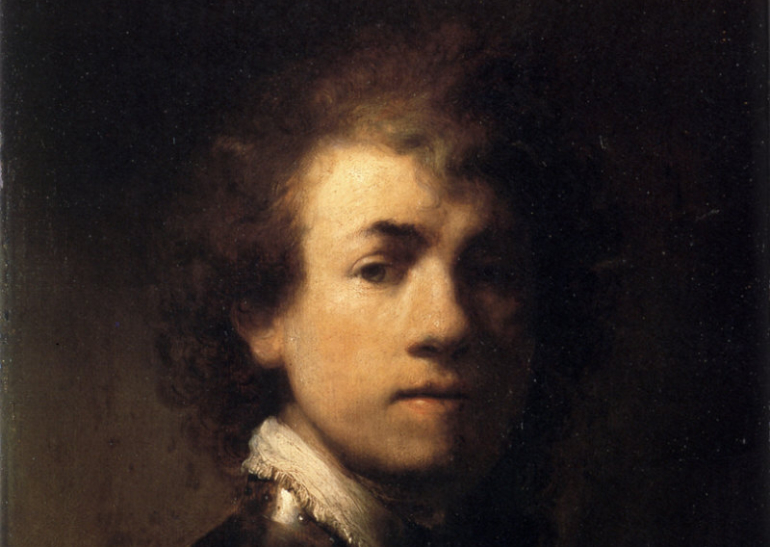 Is the flour on Rembrandt�s painting the same flour he used to cook? Did Rembrandt himself go to the kitchen looking for the flour? I can almost imagine him, walking nervously about, thinking that the paint was way too thin, �too thin�, �too thin�, and then... � Eureka!�. Yes flour. Is that the way it went? It could have very well been that way. Or perhaps it was an accident? Unlikely, just look at this paintings. Risking the shock of art historians, I dare to imagine Rembrandt. Today he he has in my imagination become more human. It is the presence of flour that did it for me. And that is news, the insight of today. I too have some flour in my kitchen, most likely it will end up in the oven not on a canvass. But as Montesquie said himself, "It is an incredible thing that all the philosophy of the world consists of two words, to hell", or in this case, �to flour�, but not any flour, a Rembrandt flour, yes, factual and newsworthy, a Masterpiece.